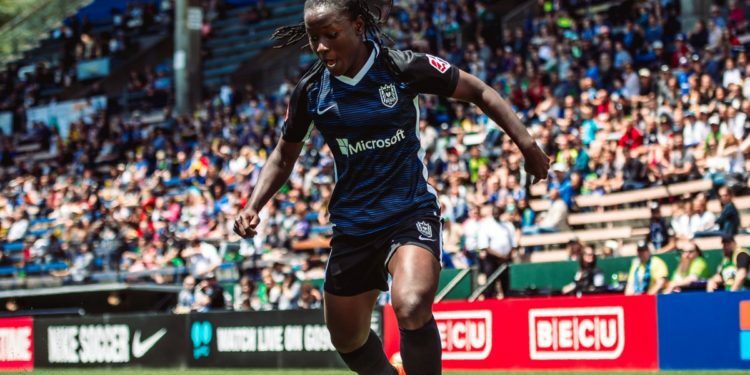 Northern Women's Soccer League side, Seattle Reign FC has confirmed the move of Ghana international Elizabeth Addo to Chinese Super League. The Black Queens all-time top goalscorer parted ways with the NWSL to pave way for a move to China. The club however stays undisclosed. The 25-year old made 13 appearances for Reign FC in the just ended season where she made eight starts with an assist in their final game in Portland. “Elizabeth informed us that she has an opportunity to play in China that will be beneficial to her and her family,” said Reign FC owner and president Bill Predmore in a team press release. “Together with Seattle Reign FC we’ve mutually agreed to part ways. I want to thank the Club, the Predmore Family, Technical staff, Teammates, the Fans for de Love and care you’ll always be in my heart.thank you @ReignFC Wishing you all a very successful season. Footballghana.com can exclusively confirm that all is set for the skipper to land China since her representatives have engaged the Chinese club for a move.